Lighweight black aluminium anodised steering wheel spacer. Provides 50mm of extra reach to bring the wheel closer to the driver. Fits Sparco, OMP and Momo steering wheels or the ones with similar bolt pattern. 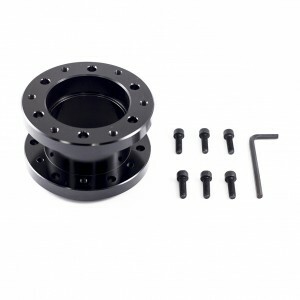 Includes 6 bolts for attaching to boss or steering wheel and allen key.